Age: Minimum age Not less than 18 years and Maximum age Not to exceed 35 years as on 01.07.2009 (Upper age relaxable in case of SC/ST/OBC and Ex-Servicemen as per Rules). In other cases, age relaxation will be considered for deserving candidates. Nuclear Power Corporation of India Limited a premier Public Sector Enterprise, engaged in the Design, Construction, Operation and Maintenance of Nuclear Power Stations invites applications from talented candidates for the post of “FIXED TERM GENERAL DUTY MEDICAL OFFICER” only for a period of One Year in KGS HOSPITAL at Kaiga Township, Karwar, Uttar Kannada District, Karnataka State. NPCIL is a MOU signing Company with DAE. Presently NPCIL is operating seventeen nuclear power plants with total installed capacity of 4120 MWe, has five reactors under construction totaling 2660 MWe capacity. NPCIL has achieved more than 285 reactor years of safe nuclear power plant operating experience. NPCIL operates plants with motto ‘Safety first and production Next’.NPCIL generated about 90 billion units of electricity in the X plan (2002-2007) exceeding the set target by about 10%, and added 1180 MWe capacity against the target of 1300 MWe capacity, thus realizing 91% of the target capacity addition. 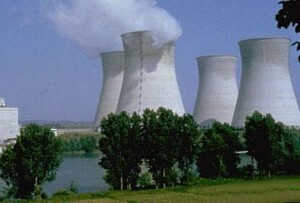 The Mission of the Company is ‘To develop nuclear power technology and to produce nuclear power as a safe, environmentally benign and economically viable source of electrical energy to meet the increasing electricity needs of the country’.The company is currently operating 17 nuclear power units at six locations and is implementing construction of 5 reactors at three locations. Three units of NPCIL namely KAPS-1, KGS-2 and RAPS-4 recorded non-stop continuous run of more than a year. In the year 2002-03, NPCIL recorded an impressive overall capacity factor of 90% for its operating units. NPCIL completed its new units namely TAPS-3&4 and KGS-3 with gestation periods matching international level achievements in construction of nuclear power plants. NPCIL has also equity participation in BHAVINI, an organization formed for implementation for Fast Breeder Reactors programme in the country. 1. The application should be submitted in the proforma given in the advertisement, preferably typewritten on A-4 size paper. 3. Application should accompany (i) attested copies of certificates in support of (a) educational qualification with mark-sheets (b) date of birth certificate (SSC Certificate) (c) caste certificate for SC/ST/OBC (d) experience certificate and passport size photograph. 4. Caste Certificate in respect of SC/ST/OBC must be obtained in the prescribed format duly signed by one of the empowered authorities. 5. The Corporation reserves the right to restrict the number of candidates to be called for interview, depending upon the number of applications received. In this regard, the decision of the Corporation will be final and binding. 6. Completed applications should be sent to Deputy Manager (HRM), NPCIL, Kaiga –1 to 4, PO: Kaiga, Via Karwar – 581 400, Uttar Kannada District, Karnataka State (Phone No. 08382- 264029) so as to reach within 15 days from the date of publication of this advertisement.